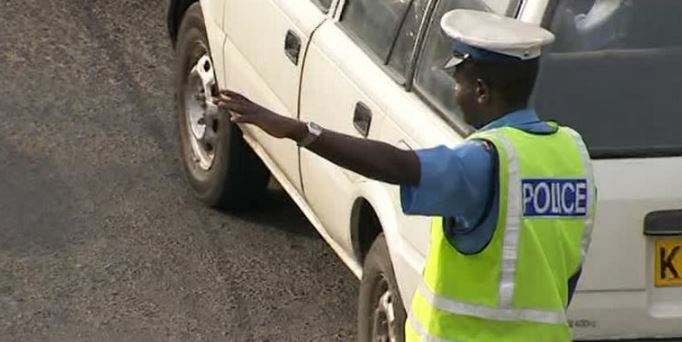 Corruption amongst traffic police and motorists in Kenya remains rampant despite continued efforts by Anti-corruption authorities to contain the vice. While most law-abiding citizens would prefer not offer bribes to get away with traffic offenses, the alternative is often a frustrating judicial process that is designed to incentivize bribery. In fact, it has become widely accepted among Kenyan motorists that it is easier to bribe your way out of an offense than go through the right channel. One man’s account of his attempt to follow the rule of law after a run-in with a traffic cop about a month ago has gone viral on social media. In a mini-thread, Kenyan on Twitter, @mugzoh, narrated quite the insightful story of his experience with the Kenyan judicial system after he was arrested for an offense he maintains was BS. I’ve been meaning to tweet this for a while now…..mini thread on how frustrating the Kenyan judicial system is when it comes to traffic offences, and why most people just choose to bribe the police. So about a month ago I’m driving on Ngong Road and this traffic cop stops me and says my tyres are worn out. Tells me to pull up to the side of the road, and I oblige. He asks me if he can come into my car and I tell him yes. Proceeds to get in and asks me why my tyres are worn out. I tell him as far as I can tell my tyres are in pretty good condition – not new, but good. At this point he tells me that I either ‘convince’ him that the tyres are okay, or we’ll have to go to Kilimani police station. I have always ‘handled’ traffic cops using various means, but this time round I wanted to see how the whole system works. Plus – I stopped bribing. So we drive to Kilimani & along the way he asks me no fewer than 3 times to ‘talk’ so that ge lets me go. I decline – he asks me if I’m in law enforcement, I answer to the negative. Asks for my license (I guess to see if I have a ‘powerful’ name)….my name’s pretty nondescript. At the station he hands me over to a colleague who also tries to soften me up, trying to play good cop. At this point I’ve decided that I’ll go to court and see how all this pans out. So I decline all offers to ‘talk’ and a cash bail of 5K is issued, to attend court 8am next day. This is the 1st targeted frustration. Not everyone knows court sessions start at 9am…….so when I showed up at 9am there were some peeps who’d arrived at 730am – and it was freezing! Magistrate shows up at 915am and proceedings commence. Shock on me, kumbe they start with other issues….. mentions, hearings etc. Plea is taken at 11am. As in I could have done quite a bit of work in the morning and showed up at 11. Now imagine the guys that showed up at 730am! So anyways….at 11am the court bailiffs now become all businesslike, rude to be precise. Door is shut and you’re now treated very dismissively. One particular cop is piss drunk – almost in a stupor. New magistrate shows up to have guys take plea….now comes the interesting bit. There’s a wide range of offences, and a similarly wide range of applicable fines. If you know the max applicable fine, just plead guilty – pay the fine and bounce. E.g. not belting up is 500/=……no need going through the hearings for that. She didn’t want anything to do with the courts anymore; pleaded guilty, was fined 20 something thousand and took off! I felt for her….she clearly chose to pay a substantial sum out of fear. A week later I turn up for the hearing and as expected the prosecution isn’t ready – reason? Police file not in court. They ask for the matter to be pushed by another week. I don’t object but ask the magistrate to note that the prosecution is wasting my (and the court’s) time. After another week I show up for the hearing, same story. I am ready to proceed, police file still not in court. I am spoiling for a fight and the prosecutor wisely withdraws the matter. Magistrate lets me off and orders cash bail to be refunded. I fill some forms and I’m informed the cash bail will be transferred to my account in about 1 month. It’s been 2 weeks now so I’m still waiting. Forgot to mention, the police cash bail was returned to me 1st day in court, still sealed in the envelope I saw it being put in at the cop station. Only downside is that I only accessed that money AFTER posting bail, so it didn’t help me in raising bail money. A lot of people choose to bribe cops to avoid going through all that drama. I believe if the system was better – citizens wouldn’t need to bribe traffic cops. The inconvenience is a killer. The end.